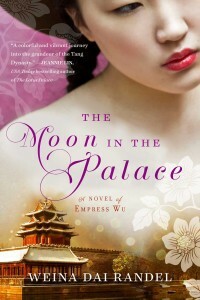 Happy Book Birthday to Weina Dai Randel & THE MOON IN THE PALACE! Hi everyone! Today we’re thrilled to congratulate Weina Dai Randel as her debut historical fiction novel THE MOON IN THE PALACE hits bookstores everywhere. Weina has received rave reviews for her debut, including a starred review from Library Journal and top honors (4.5 stars) from RT Book Reviews. It was also selected as an editor’s choice by Historical Novel Reviews. A concubine at the palace learns quickly that there are many ways to capture the Emperor’s attention. Many paint their faces white and style their hair attractively, hoping to lure in the One Above All with their beauty. Some present him with fantastic gifts, such as jade pendants and scrolls of calligraphy, while others rely on their knowledge of seduction to draw his interest. But young Mei knows nothing of these womanly arts, yet she will give the Emperor a gift he can never forget. Mei’s intelligence and curiosity, the same traits that make her an outcast among the other concubines, impress the Emperor. But just as she is in a position to seduce the most powerful man in China, divided loyalties split the palace in two, culminating in a perilous battle that Mei can only hope to survive. What was the book that made an impact on you? The book that made a huge impact on me was Memoirs of a Geisha by Arthur Golden. I first read it fifteen years ago when my husband introduced it to me. 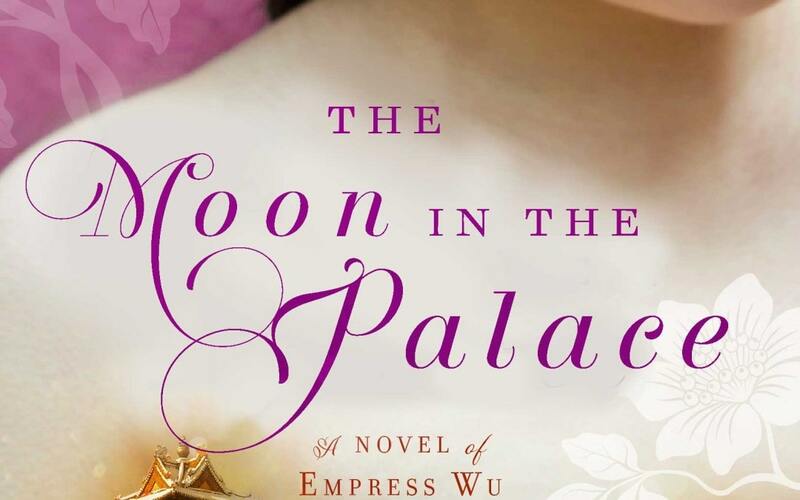 I was mesmerized by the story, then I read it again ten years ago when I was researching Empress Wu, and I read it for the third time when I was struggling with the voice of The Moon in the Palace. I was tempted to imitate the seductive, elaborate tone of Memoirs of a Geisha, but as I continued to write, I discovered my Empress Wu character diverged from Golden’s Sayuri in many ways, and consequently, the young Empress Wu’s voice and tone was different from the geisha figure. But yes, I still think I learned a lot from Golden’s book. Musical talent! Singing and playing piano, especially. I love to sing! I sang a lot at school – somehow the teachers always picked me to sing! And I did sing in front of a crowd, but you know what, I had no musical talent! I didn’t know it though. Very embarrassing now that I think of it… (Don’t look at me.) And piano. Oh, I love the sound of piano! I took some piano lessons when I made some money myself, but again, you know, I had no talent! I gave up very quickly, because you know, you can always tell a pianist with talent and a pianist who’s just following the notes. Night – late night when the house is quiet, everyone is sleeping, it’s dark outside, and I can hear the wind flowing, the murmurs of creatures stirring, and I can see the moonlight casts a silvery net on the flat lawn like a shimmering blanket. I love the peace, the silent contentedness, and I can feel my heart at ease, enjoying the serenity that looks empty but feels full. Er. I actually didn’t put it in my resume, so you can see I still feel embarrassed about it – the job I had briefly as a copywriter when I was twenty one. I was working for a Taiwanese company in Shanghai, and I wrote pieces such as ads for a 9-hole golf course – yes, 9, not 18, because Shanghai was so crowded and it was hard to have a golf course with 18 holes. I also wrote for new brands of socks, refrigerators, and pills that were supposed to cure diabetics. The whole experience was very interesting. 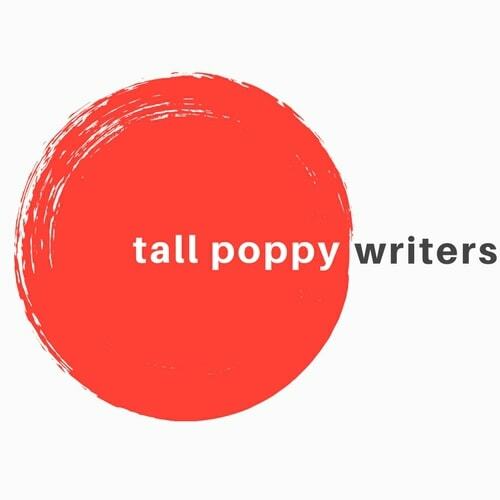 I loved poetic language even then, and I strove to write that way, but the rule for writing ads was different, and I needed to sell something by writing it in a way that would appeal to the customers. It was very frustrating for me. I had the job for ten months, then I was fired. Yes! I met Diana Gabaldon, whose book Outlander I loved and read many years ago. I met her a few times actually during a conference. She was one of the key reasons I actually published my books. I’ll tell you why. You can imagine how excited I was! Because at that point, I had been writing for ten years, received almost 80 rejection letters, and I had decided The Moon in the Palace would never be published and I switched my career – I took a teaching job! But her words boosted my confidence and I queried again, using her name, which led me to an agent and the two-book deal! Thanks for stopping by, Weina, and all the best to you and your debut THE MOON IN THE PALACE! Weina Dai Randel was born and raised in China. She came to the U.S. when she was 24, and English is her second language. She has worked as a journalist, a magazine editor, and an adjunct professor. She received an M.A. in English from Texas Woman’s University in Denton, Texas, where she was inspired to write about Empress Wu of China. She lives in Texas with her husband and two kids, and THE MOON IN THE PALACE is her debut novel. 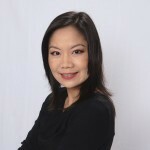 You can learn more about Weina and her books (including her upcoming sequel, THE EMPRESS OF BRIGHT MOON, out April 5th) on her website, and connect with her on Twitter and Facebook.